The Yankees and Rays will continue their three-game series with the middle game later this afternoon. Here are some links and notes to check out in the meantime. According to Joel Sherman, the Yankees tried to sign left-hander Tony Watson during the offseason. 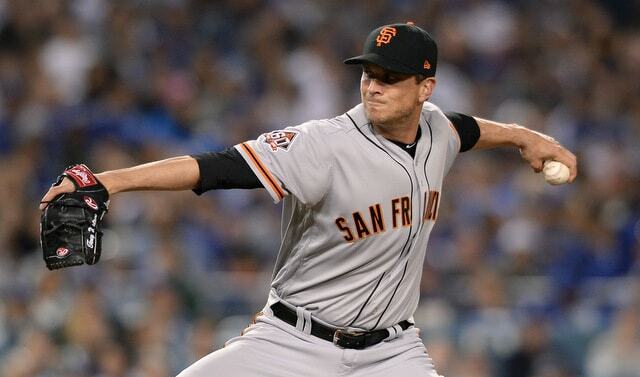 He instead signed a luxury tax friendly two-year deal worth $9M guaranteed with the Giants. The veteran left-hander has a 1.82 ERA (1.76 FIP) with 29.6% strikeouts and 44.2% grounders in 34.2 innings this year. He’s a full inning southpaw, not a left-on-left matchup guy. This is pretty interesting to me. The Yankees were trying to beef up their bullpen even more and they were apparently ready to cut Chasen Shreve loose. Hard to see how both would’ve fit in the Opening Day bullpen. The Giants are hanging around the postseason race at the moment, but if San Francisco slips in the standings these next few weeks, I wonder whether the Yankees would pursue Watson at the trade deadline. Intrigue! Over the winter the Yankees reached out to Jason Giambi to gauge his interest in joining the organization, according to Brendan Kuty. Giambi didn’t specify what sort of position was discussed, though he did say he was not interested in the managerial opening because he has young kids and doesn’t want that much of a commitment. “I think they kind of tested to see where I was at and I just said I wasn’t ready,” he said. Giambi, now 47, retired following the 2014 season and his name seems to pop up as a managerial or coaching candidate every winter. I’ve always wondered whether he is actually a candidate for those gigs, or are reporters just talking up a guy who was cool with the media as a player? The Yankees reaching out to Giambi over the winter pretty much confirms that he is indeed a candidate for those types of jobs. Wouldn’t surprise me to see the two sides touch base again in the future. Michael Kay and the YES Network are close to finishing a new contract, reports Andrew Marchand. It’s a three-year deal worth seven figures a season, and it includes a network option for two more years. With Vin Scully retired, Kay is believed the be the highest paid local play-by-play man in baseball. “I don’t see any end in sight. I want to keep doing this as long as I want to and as long as they want me to,” he said to Marchand. The new contract means Kay will be the voice of the Yankees through at least 2021 and potentially through 2023. My hot take for the weekend: Kay is one of the top play-by-play guys in the sport. Thanks to the magic of MLB.tv, I’ve listened to every broadcast team in recent years, and Kay is better than most. He can get a little annoying when he goes into radio show mode, but he’s good overall. Interestingly enough, Marchand says Ryan Ruocco could see more time in the booth going forward. More YES Network news. According to Marchand, YES Network executives are trying to persuade Ken Singleton to return next season. Singleton has already announced he will retire following this season. Marchand says YES is offering Singleton a reduced schedule heavy on games in Baltimore and Tampa, where he has homes. “It’s flattering (YES) wants me to come back … I found out as a player, nobody is irreplaceable. The game keeps going on,” he said. I love Singleton. He’s one of my favorite broadcasters ever. I love his insight and I love his stories. As much as I’d love to see him stick around and call games forever and ever, Singleton turned 71 last week, and if the man wants to retire, let him retire. He’s been doing this a very long time and I don’t blame him at all for wanting to skip the road trips and the late nights, and spend more time with his family. It’s not like the YES Network is short on broadcasters, you know?